Headed Back to School? Get 20% Off Through September 15th! First of all let me just say that I have no idea why a back-to-school post needs to be written this early in the summer season; by my count we have weeks and weeks of blue skies and warm nights left! Right? RIGHT? Anywho, if you've given in to this collective delusion that fall is around the corner, you might find yourself needing to decorate a dorm room or two. Fortunately, Plywerk has a sale on to help you get a high-quality product that fits your back-to-school budget. Even though I did not go to college out of state, I still went back to school each fall laden with mementos and knick-knacks for my dorm or bedroom meant to help me keep home in mind. Plenty of my fellow classmates did not have the option for easy weekend visits of hugs and laundry, and the mementos their families sent them with were especially precious. 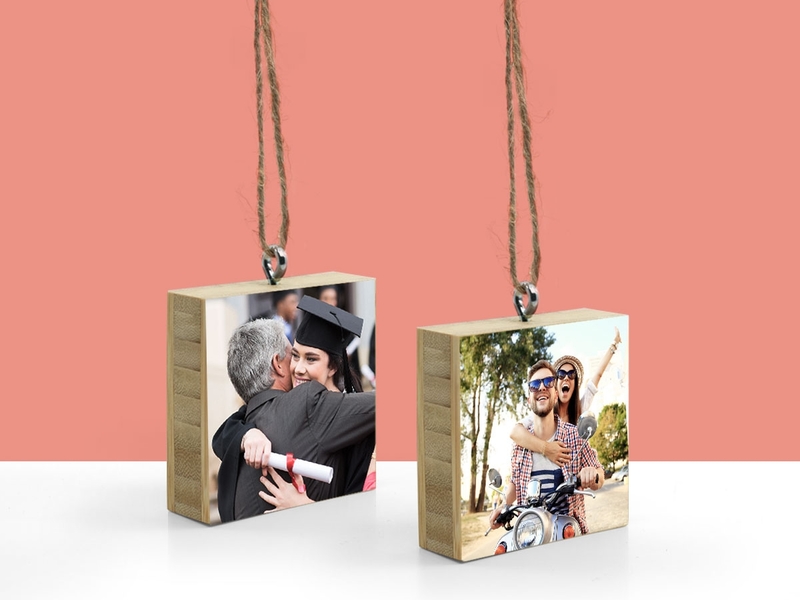 If you're sending a student far from home this fall, send them with photos mounted on Plywerk to help them keep their spirits up between holidays. Memories you made over the summer can be preserved on eco-conscious bamboo in a range of sizes to fit any space left between Jimi Hendrix and Dave Matthews Band posters. With a 20% off deal on from now until September 15th you'll have plenty left over after text books to throw in a high-quality gift handmade here in Portland, Oregon. Plywerk your favorite memories of summer vacation. Click around our recently revamped website and start your order now! Even though you have plenty of time before fall! I don't know what everyone is talking about! I'm going to the beach now! This entry was posted in Eco-Conscious, Photo Mounting, Photo Panels, Photography, Summer, Uncategorized and tagged art mounted on bamboo, Bamboo art panels, college, discount, dorm decor, home decor, photography, Plywerk, Summer on August 30, 2013 by admin. Labor Day is just around the corner and that typically means school is as well. Although we all love a new school year, it's hard not to be sad that summer is nearly over for both kiddos and parents alike. To help lessen those post-summer blues, we've decided to throw a Back to School Sale! Whether you're watching your baby go off to their first day of kindergarten or sending your teenager to college for the first time, now's a great time to preserve those amazing summer vacation memories on our eco-conscious bamboo or maple. Use the discount code "2COOL20" on our website to receive 20% off your order from now through September 15th. Screaming Sky Gallery, here in Portland, Oregon, is hosting over thirty local artists in an exhibit called PDX Rocks. Each artist created a reminiscent vinyl album cover with a Portland twist on Plywerk! Every piece is as unique as this wonderful city. We'd love to list all of the artists that contributed but this newsletter, and your attention span, is only so long. You'll just have to trust us that they are an amazing bunch and stop by to see for yourself! Sarah creates pastel paintings of cityscapes and landscapes and just so happens to be showcasing her new line, "City Blocks", which are lovingly mounted on 3/4" bamboo Plywerk. Stop by Long's Park Art and Craft Festival this weekend if you just so happen to be in or near Lancaster, Pennsylvania. Rumor has it that the park has a petting zoo, too, so the kids will be happy. If you love vintage buses, this is the show for you. Mark has a knack for finding these VW beauties, in and throughout the city, and photographing their charm. These beautifully, simple photos will stop you in your tracks and make you want to check out Craigslist in hopes to find your own little vintage ride. The art show runs the night of September 6th, 7-11pm. The Coalition for Our O& C Lands is throwing a party on September 5th at Lizard Lounge to bring attention to and encourage protection of our public lands and waters. Photographs were taken by the International League of Conservation Photographers and were mounted on our beautiful 1/2" maple panels. Stop by for an evening of music, brews, gear giveaways and to be more informed on how you can protect Oregon's wild and public lands! The exhibit will be up through the month of September. This entry was posted in Newsletter on August 29, 2013 by admin. Find yourself taking pictures of the same subjects? Need to get in the habit of bringing your camera with you out of the house, and to actually, you know, use it? Just as authors make use of writing prompts to regularly jump-start their creativity, here are some photo projects to get you in the habit of making art. 1) Use juxtaposition. The image of a thin wall separating the absolute poverty of the slums from the beautiful terraced apartments with their swimming pools and tennis courts causes more visceral reactions about income inequality than statistics ever will. Employ the same technique to make your pictures speak volumes through the explicit contrasts of the subjects. Compare the refrigerators of your health conscious but slobbish friend with that of your neat freak uncle who has nothing but well organized condiments and fast food leftovers. Set up shots with incongruous elements, with people or items that seem wildly out of place for the setting, like a palm tree on a glaciated mountain summit, or a punk rocker in a business meeting. 2) Tell a story. Use photographs as sequential art, like a live action graphic novel. Whether you show plot and emotions as complex as a Dostoevsky novel's or just capture the states of a room before, during, and after a massive party, the narrative structure will draw people into the images you present. 3) Start with a quotation or concept and produce pictures that fit it. Alternatively, match up images with captions written by another creative person in your life, the way E Horn and J Comeau collaborate to create A Softer World. 4) Portray seven people as the seven dwarfs: Bashful, Doc, Dopey, Grumpy, Happy, Sleepy, and Sneezy. Perhaps have just one model express all seven characteristics in different shots. 5) Take photographs of the same scene, but use lighting, framing, and perspective to make one optimistic print and one pessimistic one. A decaying building that epitomizes pollution and waste could – in a different light – be seen as the fertile ground for resilient plant life reclaiming the area. 6) Take portraits without any people in them. Arrange a representative collection of a person's possessions and capture a still life that tells the viewer about that person. This project was inspired by Camilla Cantrabone's portraits of her family, discovered through photojojo.com, which has lots more great photography advice and project prompts. Find a project that speaks to you, and exercise your creativity! This entry was posted in Photo Panels, Photography and tagged art mounted on bamboo, design, eco-conscious, photography, Plywerk, prints on wood, wood photo mounting on August 16, 2013 by admin. Proof That Babies + Eco-Conscious Bamboo Are A Beautiful Combination! This blogger has never been a mother, but once when I was very young, I became a big sister to a baby. Now the baby and I are both adult women who were fortunate enough to have parents who were more than happy to photograph our biggest and littlest moments, and in drawers and boxes our whole lives have been transformed into objects I can interact with any time I want. Baby pictures are the most evocative items, mysterious and hilarious. My sister and I do not have memories of being a baby, but we have photographic proof that were once were one, and without memories we cherish the photos. At Plywerk, we see a whole lot of baby pictures, and it's understandable that a parent or relative would feel compelled to do something special with these memories that will never exist for the subjects. 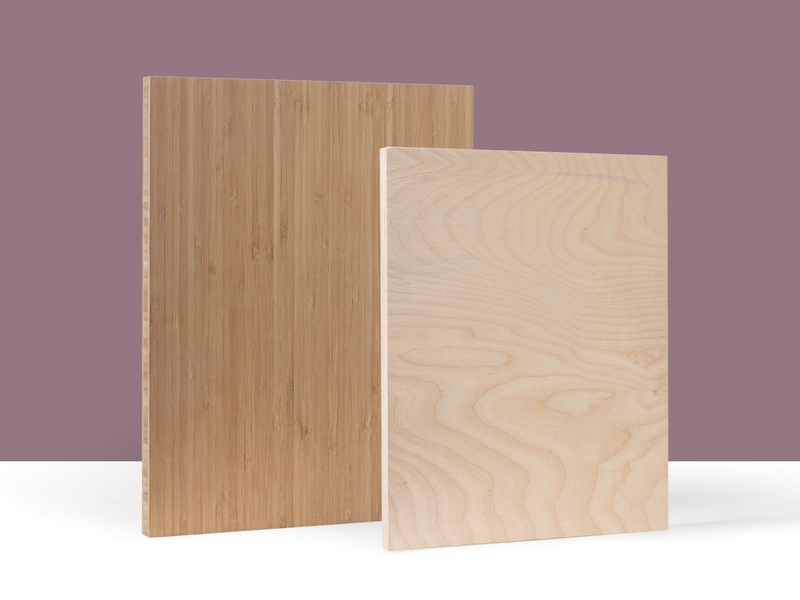 Baby pictures are special firsts in many ways, and they deserve the special treatment of a pairing with a Plywerk panel. 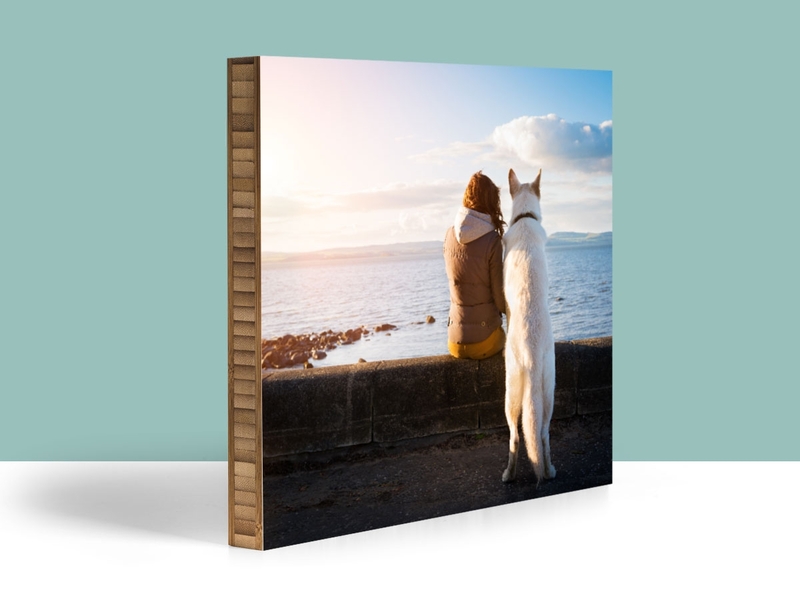 Plywerk is hand-crafted from eco-conscious bamboo on which photos are mounted edge-to-edge in a range of sizes, ensuring that your photos can be easily and attractively displayed anywhere in your home. 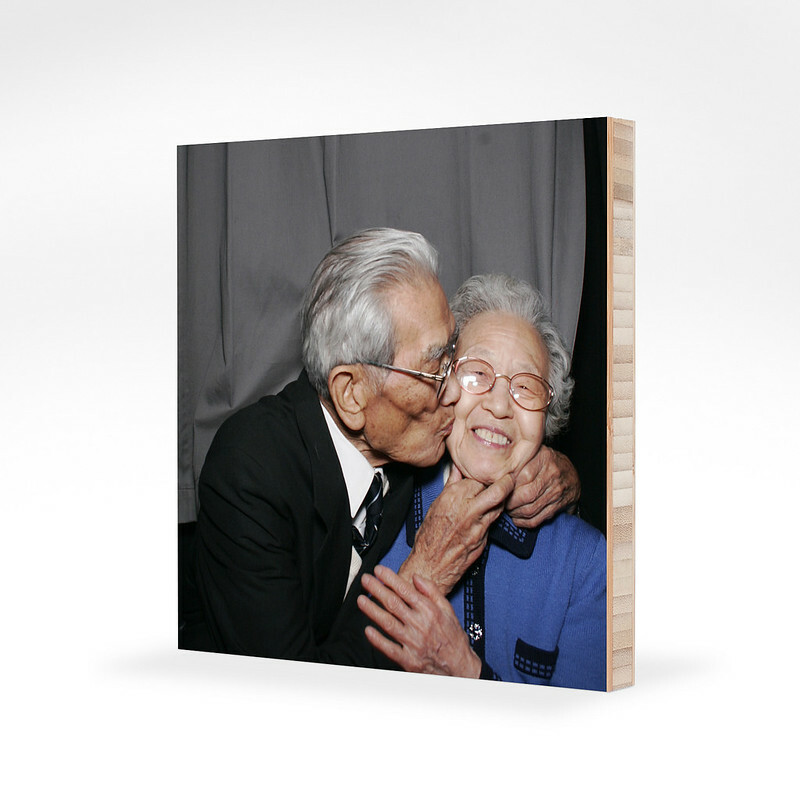 Plywerk also makes a great gift, whether you're giving Nan an image of the first steps or giving your kid that embarrassing diaper photo you were saving for their sixteenth birthday. As summer draws to a close, many families have had first beach trips and picnics and even birthdays and snapped plenty of photos. 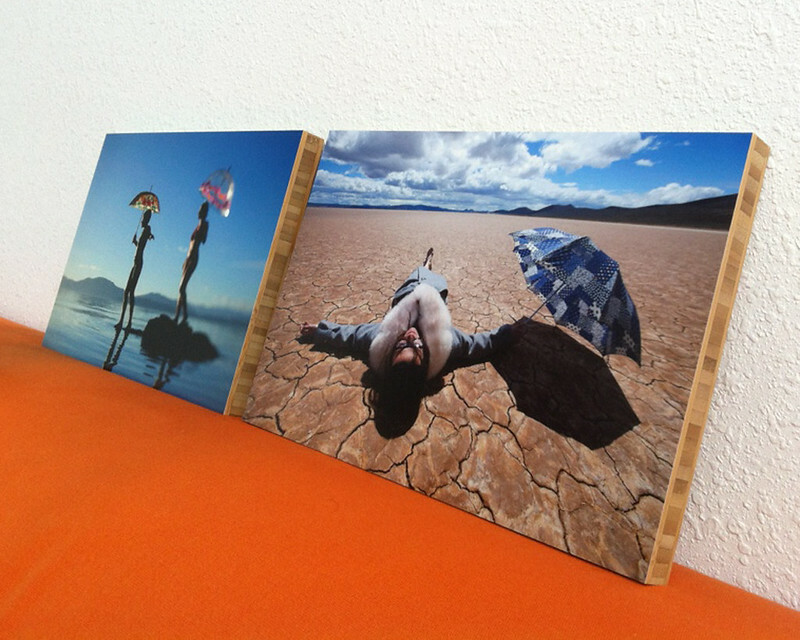 Even cell phone pictures look great on Plywerk's sanded bamboo or maple panels. People have said that Plywerk makes their images seem to glow, and what better memory to give the glowy treatment than your baby in their first summer days? Check out our products and Plywerk some of your best baby photos today! 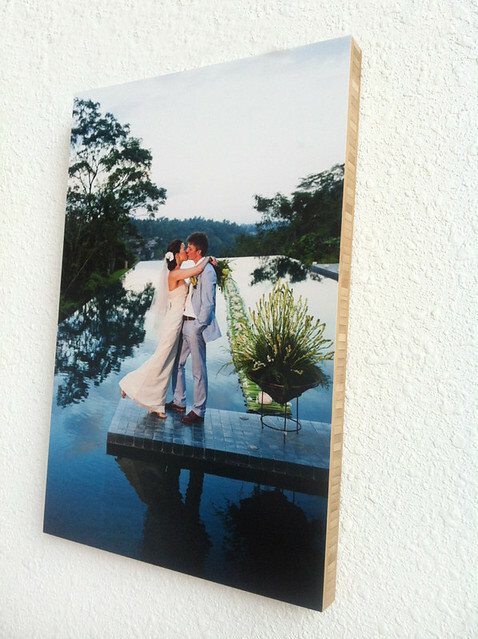 This entry was posted in Eco-Conscious, Photo Mounting, Photo Panels, Uncategorized and tagged babies, Bamboo photo mounts, Plywerk, prints mounted on wood on August 12, 2013 by admin. How can you show your partner that you love them at least as much as you did on the day you tied the knot? 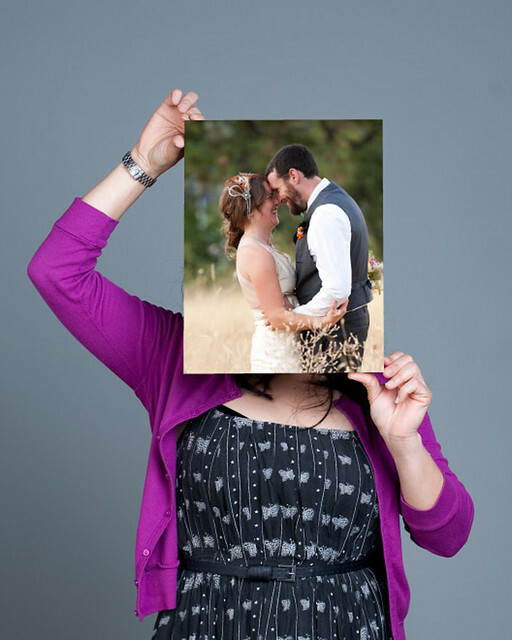 We humbly suggest Plywerk art panels displaying some of the beautiful moments from your married life, from the wedding day itself, to that picnic on the rim of Crater Lake, to that costume party where you went as complementary angles. Dig out the pictures from that day when you took Polaroids of each other as you baked scones together; you know, all those pictures of silly expressions, spatters of flour, and love so overwhelming that you couldn't stop goofily grinning at each other even while performing utterly mundane tasks, those pictures where the complete joy and utter amazement of being with such a lovely person shone through in your eyes no matter how much you contorted your faces in laughter and nonsense poses. There's nothing like handmade bamboo panels to make a picture stand out, and to show your spouse that you think that your years together – through sickness and health, basement flooding and camping in the Redwoods, stressing over tax forms and dancing, scouring dishes and lazy Sunday afternoon cuddling – deserve to be on a pedestal. Let your partner know that they have made the difficult times bearable, the daily grind worthwhile, and the joyful times complete. Display your time together in a manner that is as high quality and classy as that candlelight dinner in Milan, as dependable as that Volkswagen Jetta you shared for 280,000 miles, as finely crafted as that sterling silver pitcher your great aunt Mabel gave you for your wedding, and that will be as treasured as your engagement ring. Personally, I would have changed clothes between the wedding ceremony and the camping trip, but I'm not here to judge. An anniversary gift of Plywerk will make your spouse smile so brightly you'll want a picture of that moment of unwrapping as well! I'm sure your spouse will want to admire the panel, but remember that it's ideal to have their face actually be in the photo when documenting that post-gift smile. 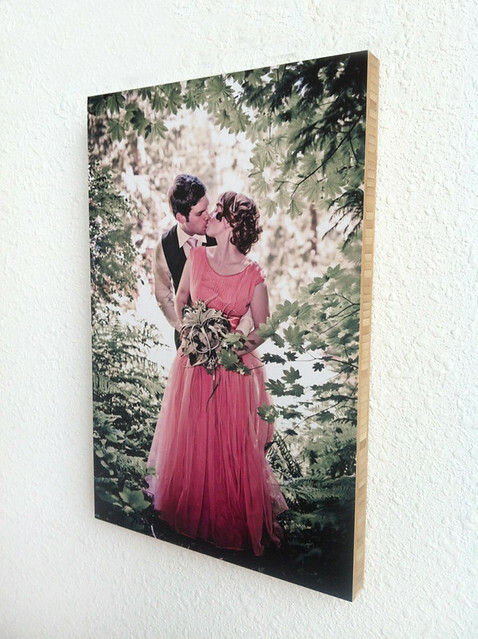 This entry was posted in Photo Panels and tagged anniversary, Bamboo art panels, Bamboo photo mounts, home decor, wedding on August 9, 2013 by admin. For example, here is $19 worth of food, scrounged from the Plywerk break room. Maybe less, if you account for the fact that it looks like someone has been helping themselves to the peanut butter. Again. Precisely 0.28 pounds of freeze dried asparagus. A VHS copy of Sailor Moon, Season 5 in Japanese. A one-year membership to the National Hot Rod Association’s Junior Drag Racing League. So to all you first-time Plywerkers out there: come on in, the water’s fine. It will be the best $19 you ever spent. Even Grandpa Earl agrees. This entry was posted in Beyond Plywerk, Photo Mounting, Summer, Uncategorized and tagged Bamboo art panels, photo mounts, photography, promotion on August 8, 2013 by admin. Say hello to the beautiful new Plywerk.com! Ah, the interwebs. How did anyone function before we all had an IP address and unlimited access to timelapse footage of beards growing? Hold on to your hat, my friends, because it’s about to get even better: Plywerk has a new website. In addition to a streamlined ordering process that makes it easy-peazy to upload and order your art and photos on beautiful bamboo, the site is also optimized for mobile and offers Facebook and Instagram integration. So whether you’re catching the A train, dipping your little piggies in the Pacific or sitting in the front row at your second cousin’s wedding, you can snap a photo, upload and order straight from your phone or tablet. Plus, with our speedy turnaround, your Plywerk might just be waiting for you when you get home. What else is there to know and love about the shiny new site? We’re now offering $10 flat-rate shipping to anywhere in the U.S.
We asked our web guy to build the website entirely in Zapf Chancery. His counter-offer was Helveticat. We agreed to disagree. GooGoo GaGa. Trust us, you’ll like it. But you’ll have to find it first. There’s nothing like the romance of your first Plywerk order: The little skip of your heart when you find the cardboard box on your doorstep (thank you, Mr. Postman). The dreamy anticipation of oh-so-carefully cutting the tape and peeling away the packaging. And the rush (bam!) when you finally see your image in high-fidelity color. We’re getting a little verklempt just thinking about it. If you don’t know what we’re talking about, you should. 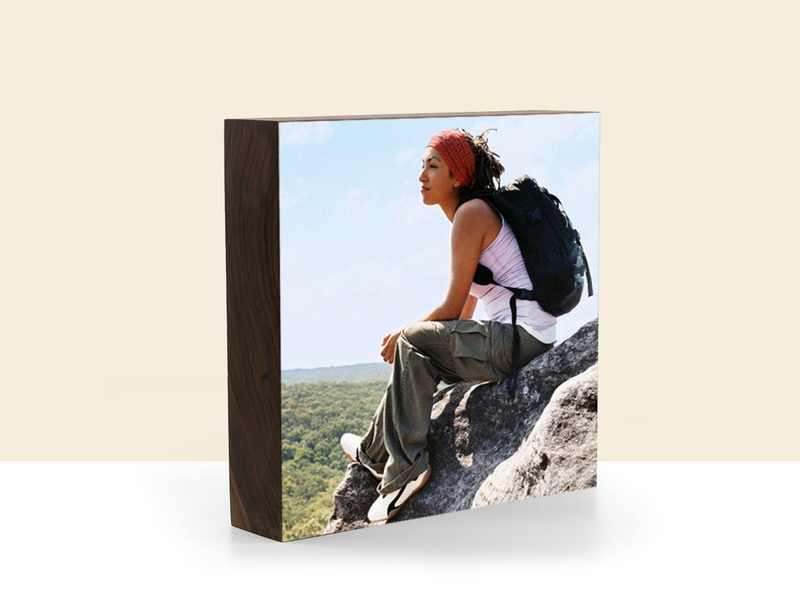 Sign up for a free Plywerk account today and your first 5x5 print is only $19 including US shipping. Ooh-la-la. This entry was posted in Uncategorized and tagged Bamboo photo mounts, mobile, Plywerk, website on August 5, 2013 by admin. I make them for my family every Sunday morning. It took me a while, but I found the perfect recipe. And, oh, they are quite good! Always been partial to Thursdays. I've been reading boingboing.net for years. It's my go-to source for interesting, odd, and informative ideas. I create abstract, dream-like images out of the simple and overlooked parts of nature, such as leaves, sticks, flowers, and seeds. My photographs reveal the character, complexity, and subtlety buried deep within these forgotten fragments of nature. What’s your goal as an artist? Nature is so big and overwhelming, it can be hard to grasp. But when I hold a single leaf in my hand, it's a part of nature that I can actually relate to: it's more tangible, more solid, more real. This is what I try to do with my art: bring the grandeur of the natural world down to a personal, more human scale. The more simple and humble a piece of nature is, the more it captures my attention. Maybe this is because I am very nearsighted, and I just got used to paying attention to what was right in front of me! For example, the last time I visited Yosemite National Park, everyone around me was staring at the impressive view of Half Dome. But I had my head down, captivated by patterns of the pine needles scattered on our path. 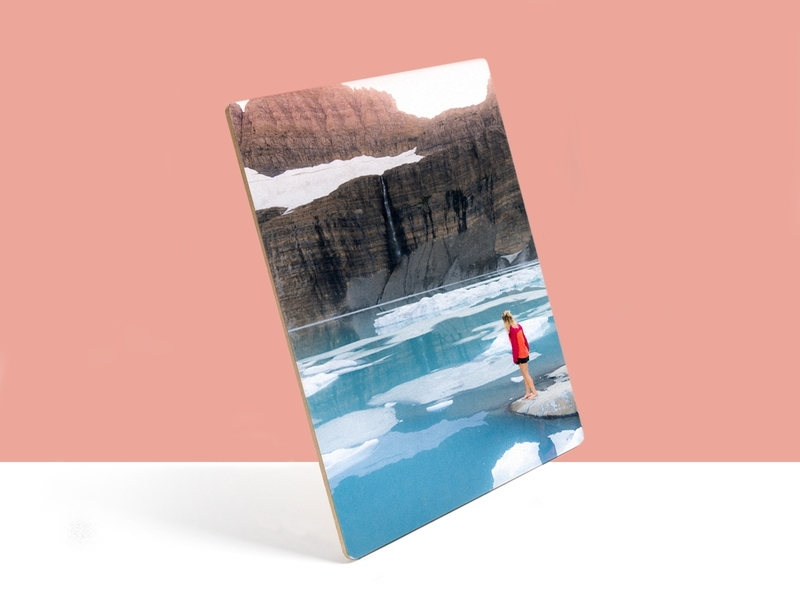 Why do you choose to show your artwork on Plywerk? My art is of the natural world, so I love that Plywerk is also a work of nature. There's something almost poetic about mounting a paper print of nature against pure wood, with nothing else to obscure or distract from the intention of the art. Where do you find the natural objects that you photograph? Do you ever purchase items or do you serendipitously stumble upon them? I find most of my subjects while walking through my neighborhood. While walking the dog or waiting for the kids' school bus, I'll habitually collect the "scraps" of nature I find in my path — the leaves, sticks, flowers, or seeds that have broken and fallen to the ground. My favorite time is right after a storm has blown through, scattering leaves and seeds everywhere. I drive my family nuts when we go for walks, but they have learned to just keep walking, and I'll eventually catch up. Do you use natural light or studio light when photographing your work? A little of both. Natural light is nice, but it's hard to make the sun stay where you want it! So most of the time, I use a collection of lights - whatever will do the job. My favorite right now are the daylight-balanced LED lights: they are small, bright, adjustable, and don't burn you when you are composing the scene. Do certain types of botany photograph better than others? Dried versus fresh? Round versus linear? My favorite subject to work with is leaves. I never pick a leaf off a tree - I only work with ones that have naturally fallen. They seem so simple and familiar, but reveal such a depth of character and complexity. I've been photographing fallen leaves for over 12 years, and I still see new things in them. I work with most of my subjects after they have dried, mainly because I work so very slowly! I love to watch the changes that happen as the leaf dries over time, revealing a unique "personality" shaped by it's life, the storms it endured, the summer heat it experienced. Is there any one technique that you could share with others who are interested in photographing abstract and/or macro subjects? The first thing most students ask me about doing macro photography, is what kind of equipment they must buy. I tell them to just jump in, and don't worry about having the "right equipment". Just explore the possibilities of the tools you already have. Most cameras have a macro mode that will get you started, or you can buy a cheap reversing ring to flip a standard lens around on your SLR camera. Try anything that will let you get close to the details. Music is constantly playing (loud) in my studio. Today I am listening to the recent solo albums of Lindsey Buckingham (of Fleetwood Mac fame). I love listening to musicians who's years of fame are behind them, and even though no one is paying attention now, they have gone on to create some of the best music of their careers. If you were a car, what make, model and year would you be? Ford Mustang, from 1967, the year I was born. It is the pure essence of car-ness. What kind of jelly do you like on your PB&Js? Nix the jelly. Why sully the pure wonderfulness of peanut butter with jelly? Charles Schulz has been one of my favorite artists since I was a kid. He may be “just a cartoonist”, but more than any fine artist, Schulz’s art has had a direct influence how I see and understand the world. With a few simple strokes of his pen, he had the ability to create emotion, depth, and resonance. Daniel grew up with photography and spent many hours in his family's basement darkroom. Later in life, he discovered his talent for graphic design and became the Creative Director for Yahoo!. At some point along the way, he decided to focus on his own artwork and has been doing so for the past decade. He has a successful business creating ketubah's and is on the board of trustees for Morris Arts, whose mission is to make art the center of community life in Morris County, New Jersey. Post a comment below and you will automatically be entered in a drawing to win a Daniel Sroka print mounted on 3/4″ bamboo Plywerk!!! We’ll select a winner at random at the end of the month so make sure you come back to the blog in early September to see if you won and to check out the new featured artist! We’ll ship it anywhere in the continental US for free. If you win and need it shipped internationally, you’re on the hook for shipping costs. Sorry to be so mean. This entry was posted in Contests, Featured Artists and tagged Bamboo art panels, Daniel Sroka, macro photography, nature photography, prints on wood on August 1, 2013 by admin.